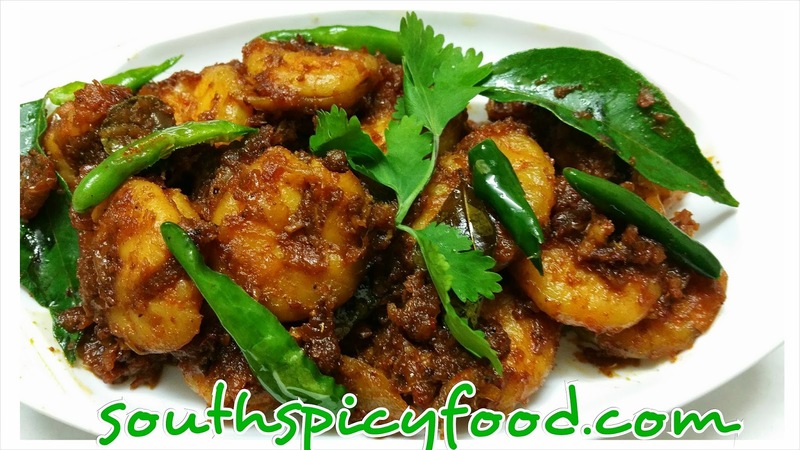 Prawn Fry/Royala vapudu is a Famous Recipe in Andhra pradesh, which is the easiest method. You normally don’t go wrong with this recipe as it’s that easy Fried Prawns with the flavor of curry leaves make the dish just perfect. First peel and clean the prawns. Take a pan add prawns, salt,turmeric powder cook on a low flame until all the water gets evaporate. Take another non stick pan, add oil.when oil gets heated add cooked prawns and fry for 10 Min's on a medium flame. Add ginger garlic paste and coriander powder, fry till the raw smell of ginger garlic paste leaves. now add roughly grind ed onion paste,silted green Chile's and curry leaves.Saute till the onions turn a light caramelized brown. It will takes up to 15 Min's. Add coriander, serve hot with rice.